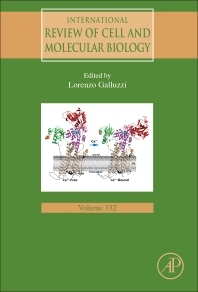 International Review of Cell and Molecular Biology, Volume 332 reviews current advances in cell and molecular biology. This latest release covers Metabolic alterations at the crossroad between aging and oncogenesis, Molecular and cellular mechanisms of auto-immunity, Old and novel functions of caspase-2, Organelle crosstalk in oncogenic metabolic reprogramming, a Molecular Biology Digest of Cellular Mitophagy, the Regulation of cell calcium and role of plasma membrane calcium ATPases, and Mechanisms of cortical differentiation. The IRCMB series has a worldwide readership, maintaining a high standard by publishing invited articles on important and timely topics that are authored by prominent cell and molecular biologists. Users will find that the articles published in IRCMB have a high impact and average cited half-life of nine years. This great resource ranks high amongst scientific journals dealing with cell biology.